Dozens of people gave emotional testimony in front of a Senate committee Wednesday. 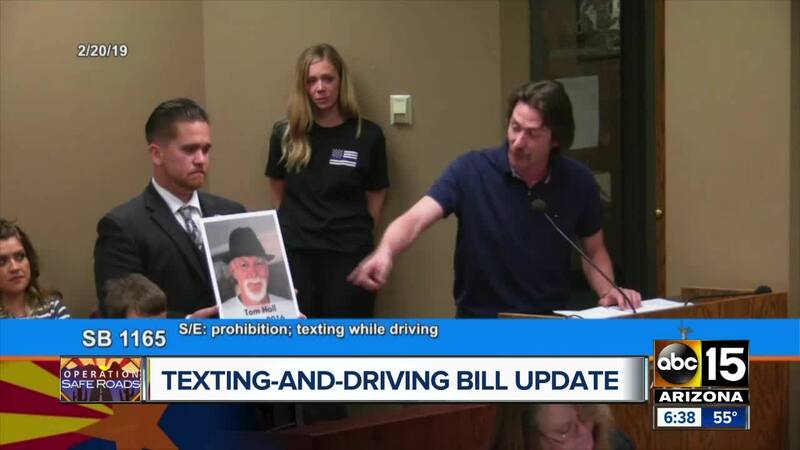 PHOENIX — Senate Bill 1165, which would require hands-free cellphone use while you're behind the wheel across the state, passed another hurdle in the Transportation Committee on Wednesday at the state capitol after emotional testimony about the tragedies of distracted driving. Operation Safe Roads is committed to reporting on the process from start to finish. You can follow the bill's progress by searching 'SB1165' on the state legislature's website here.